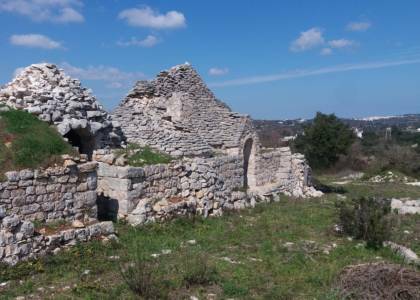 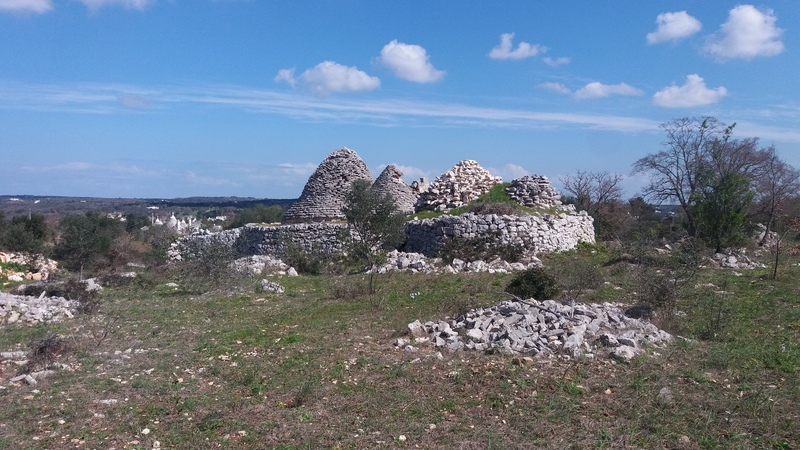 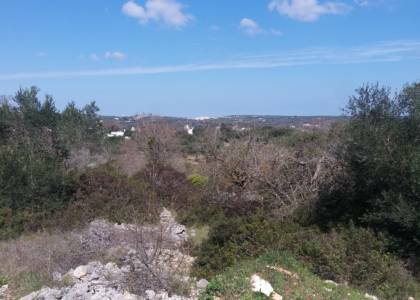 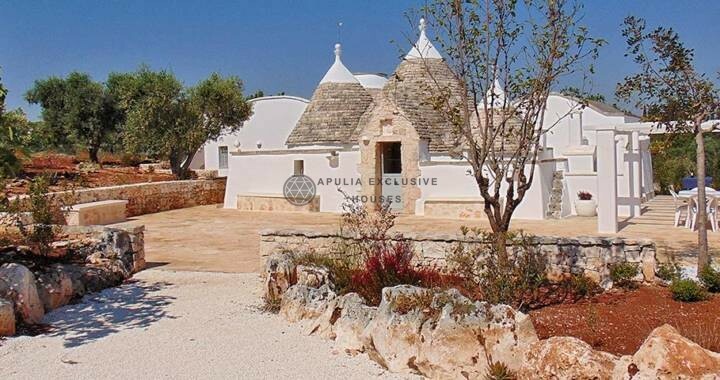 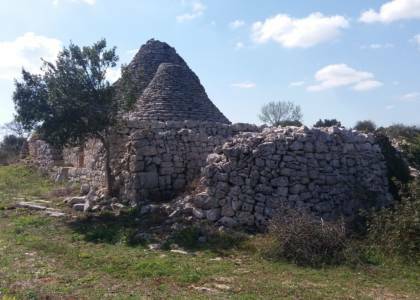 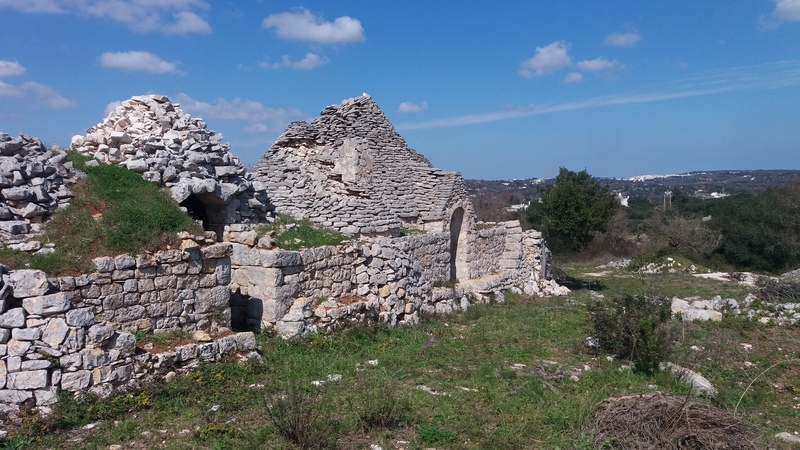 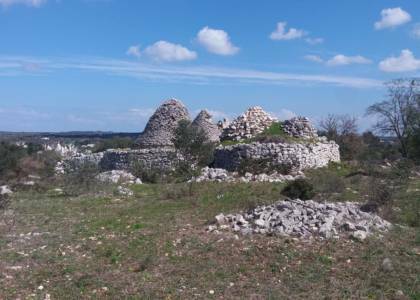 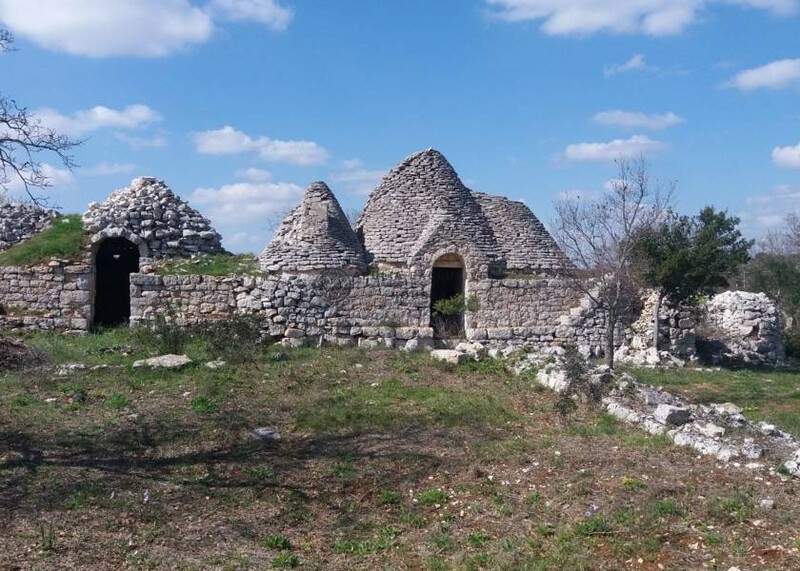 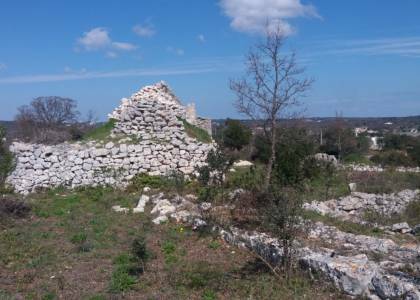 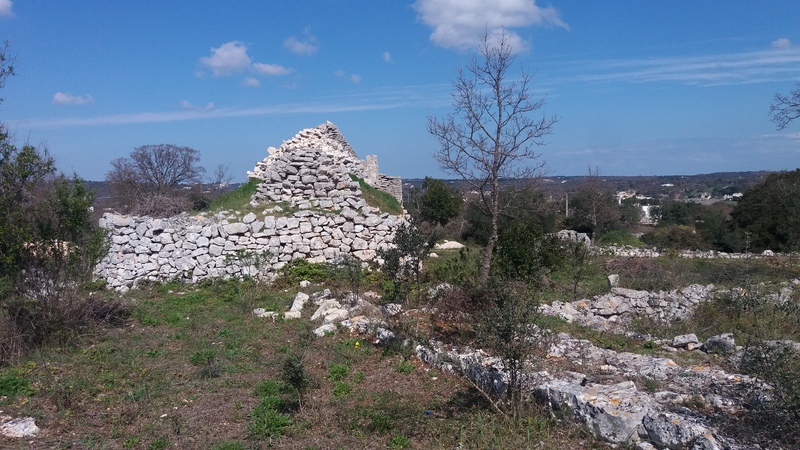 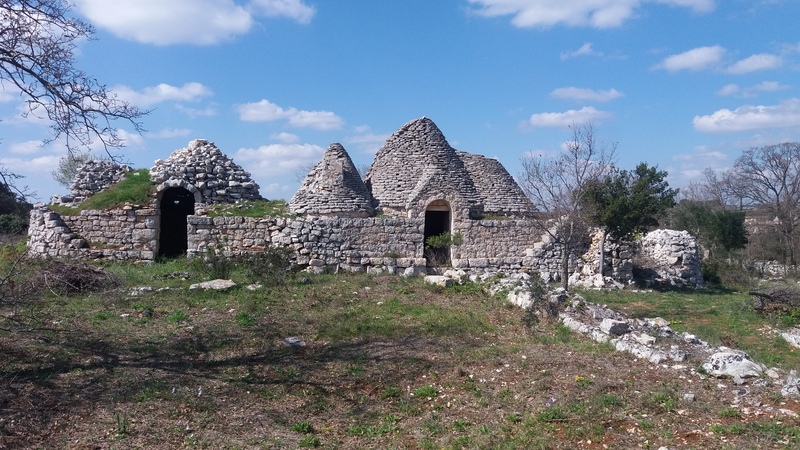 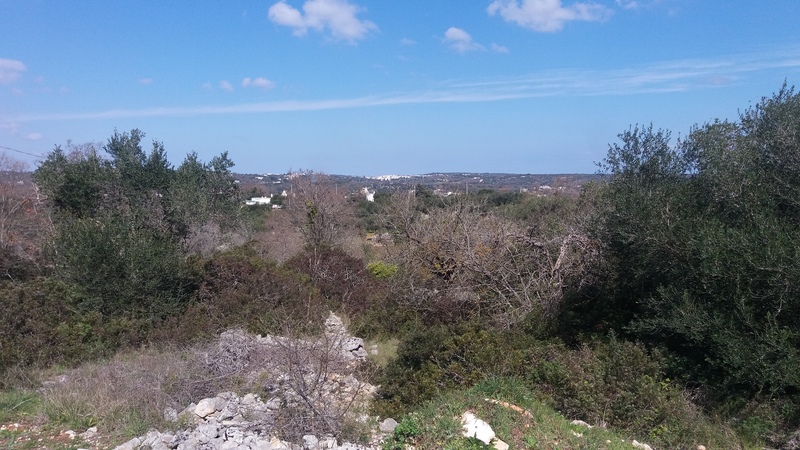 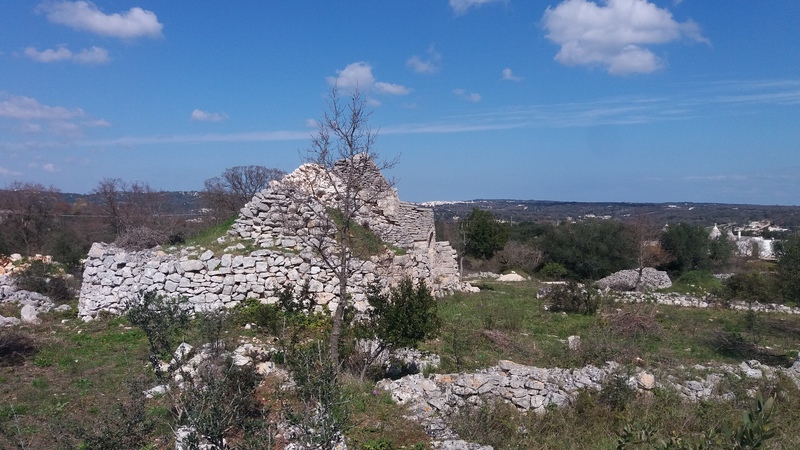 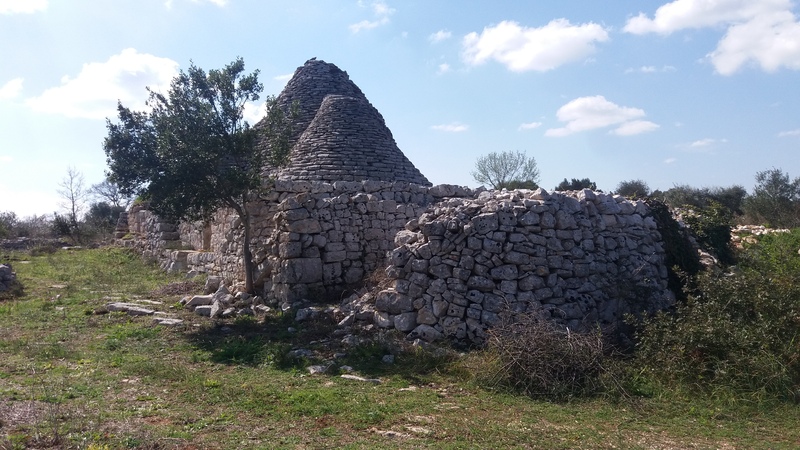 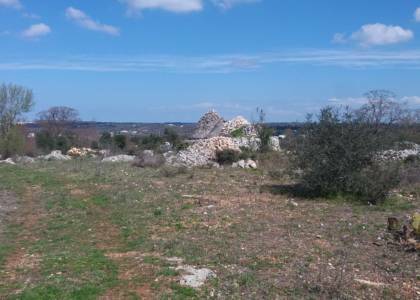 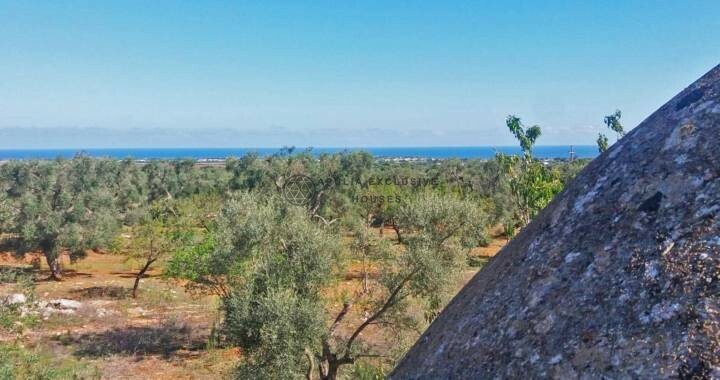 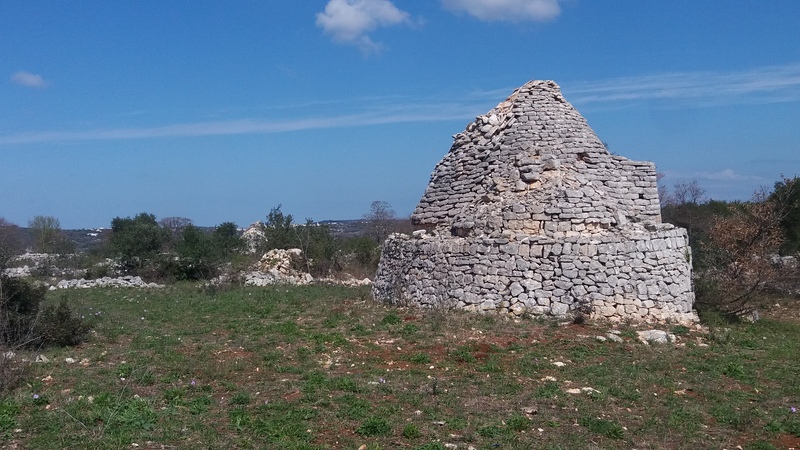 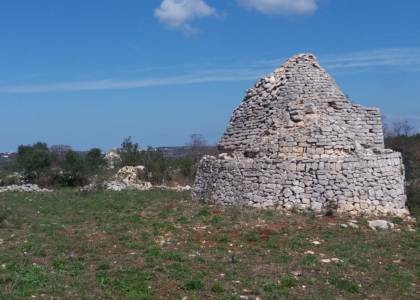 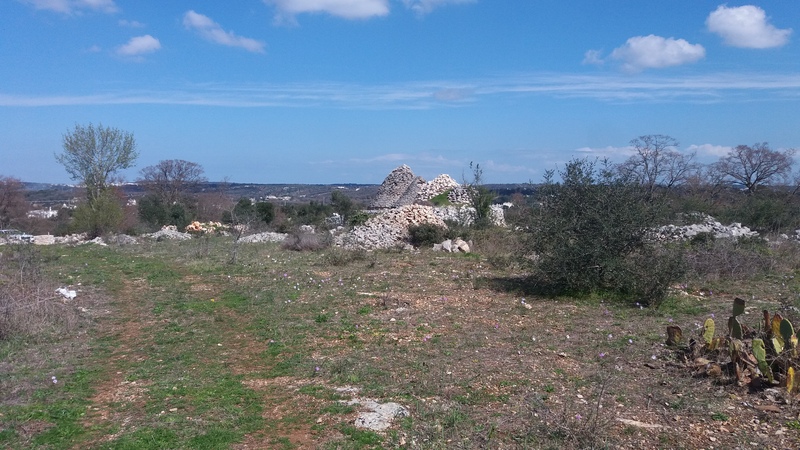 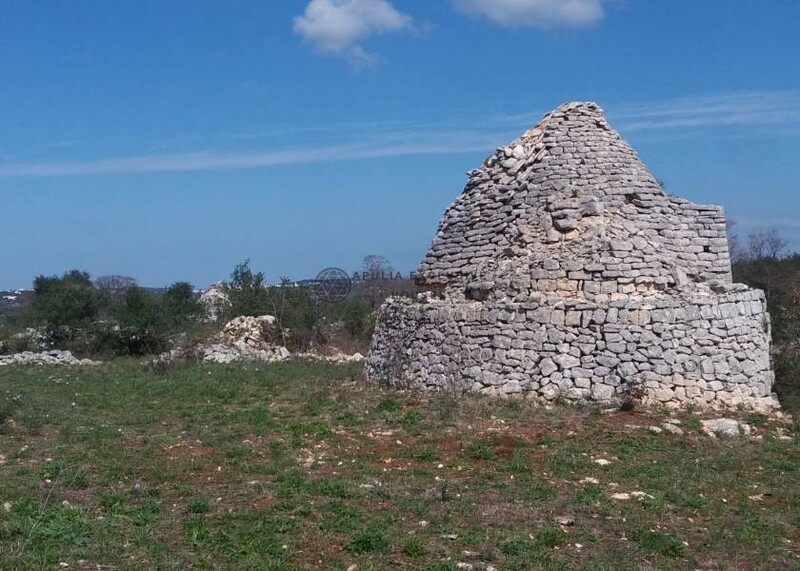 Trullo with 5 cones of about 40 sqm, located in the heart of the Itria Valley, in an excellent panoramic position. 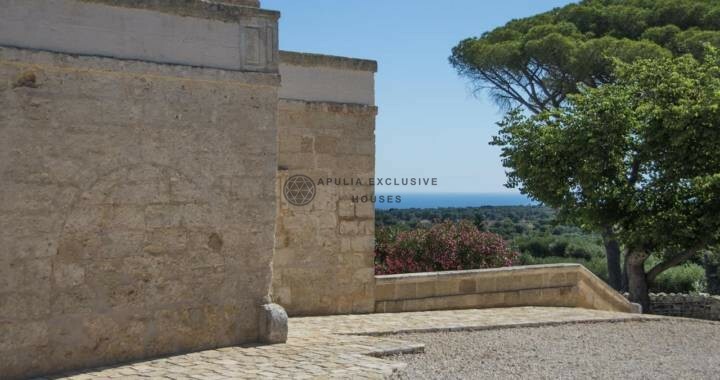 Inside it consists of two rooms, each with two alcoves. 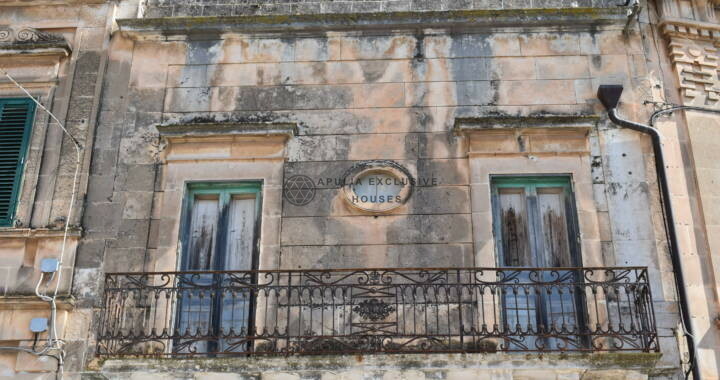 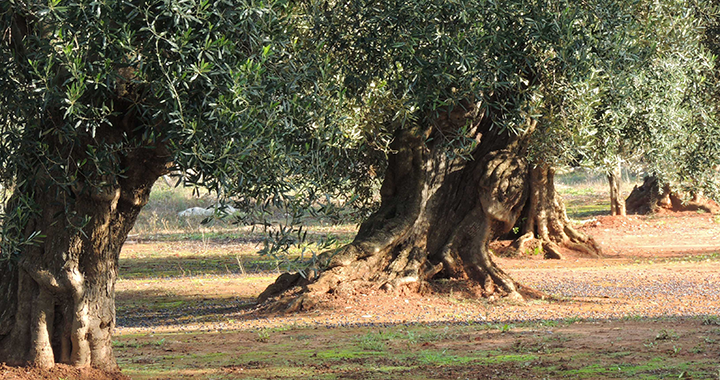 Everything has been left in its original state to preserve its authenticity. 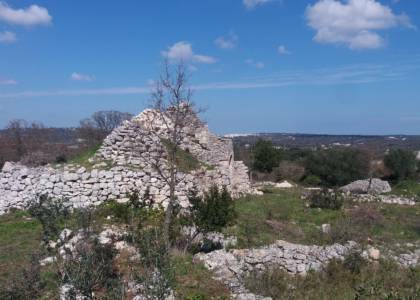 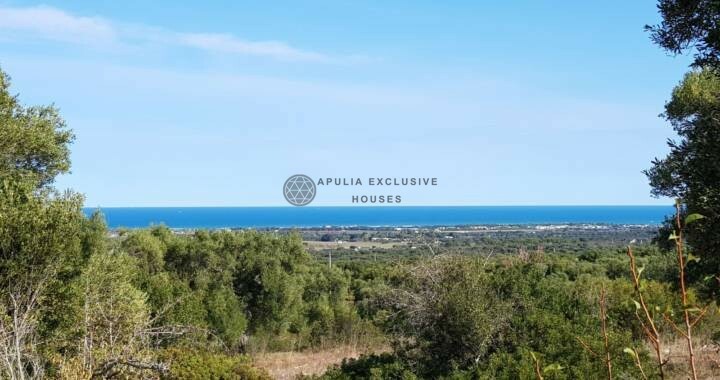 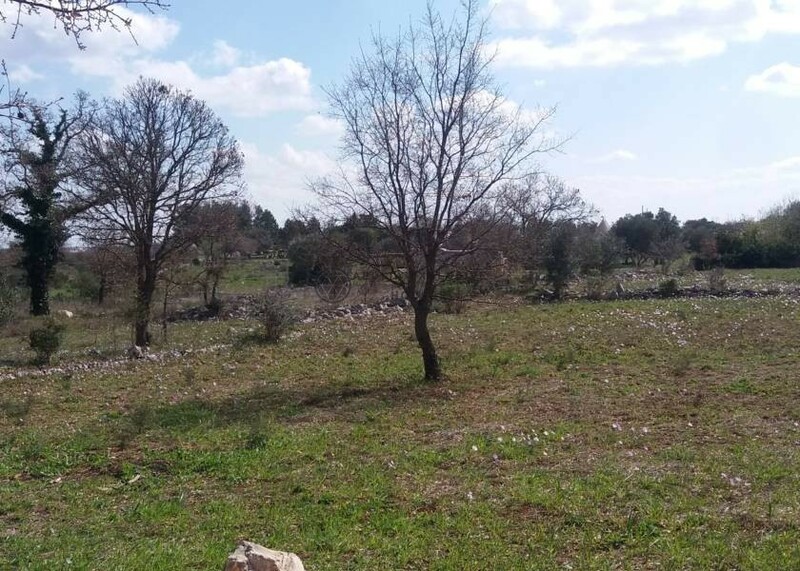 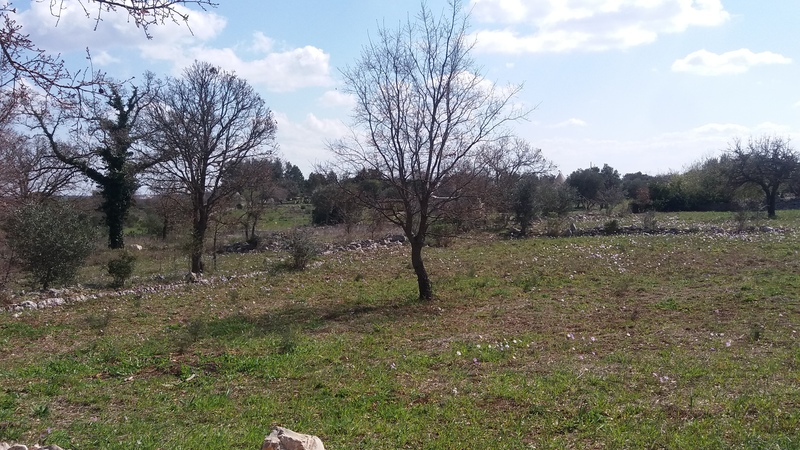 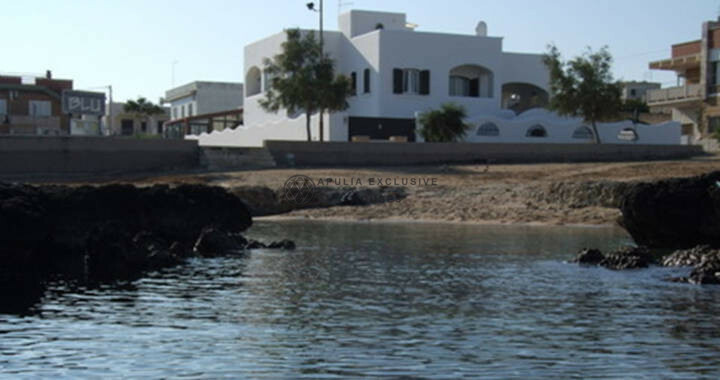 Land of about 8000 sqm with olive and almond grove is terraced and surrounded with dry stone walls. 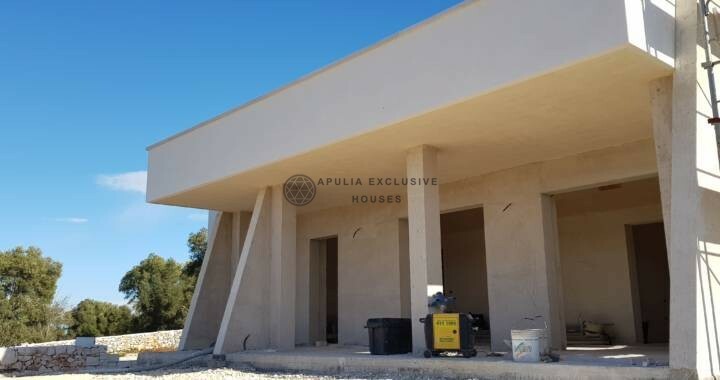 Renovating the existing and with an extension of another 70 sqm more verandas and pool you could create a magnificent ideal context as a second residence and for every holiday.